I have always been an introverted personality and somewhat shy. I strive for learning new things, but I rather explore things alone than in a big group. My great interest on details makes me a perfectionist who enjoys creating different kinds of visual experiences – dance, movies, photography… In my spare time I’m training different forms of climbing – my major goal being in alpine mountaineering. I’m very fond of reading books and playing tenor saxophone. I have gratuated as a Bachelor of Dance Pedagogy from Savonia University of Applied Sciences, Music and Dance department, majoring in classical ballet. I also have a Bachelor’s degree in health care (major in radiography and radiotherapy) and I am currently studying for MSc Forensic Radiography. In 2013 I completed a distance learning course in basics of Benesh Movement Notation in Royal Academy of Dance. During my BA studies in dance, I spent one semester as an Erasmus exchange student in University of Dance and Circus in Stockholm, having street dance as my major. Dance can be seen as a part of social interaction or as a competitive sport, but for me it’s always first a form of performing art. It means that as a choreographer, dancer and dance teacher I want to create something that can be put on a stage and enhance the skills that makes the performer’s interpretation shine to the very last row. In the studio dance can be self exploration and even therapeutic, but in its finest form it’s a gift to the audience. My background in dance is mainly in classical ballet and show dance. I enjoy other visually rich dance forms as well, like voguing. 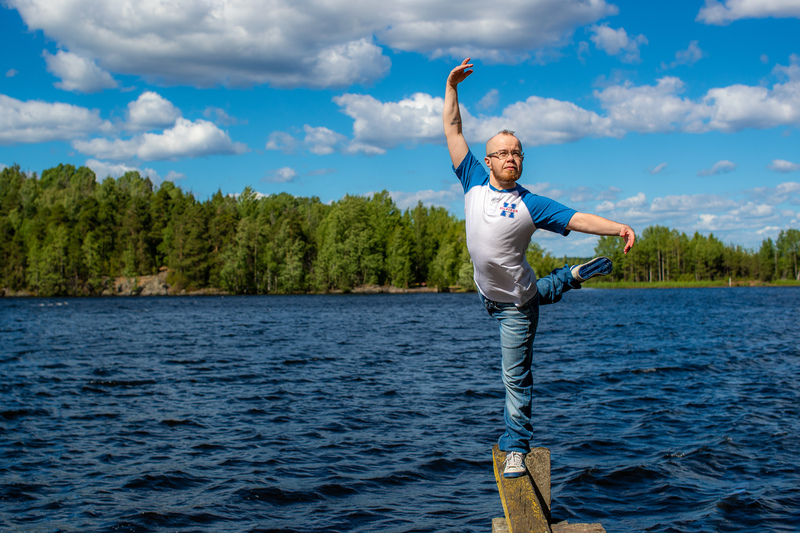 Besides these genres I’ve been studying jazz dance and contemporary dance during my BA studies in Kuopio and breakdance during my Erasmus exchange in Stockholm. My pre-professional training included also hiphop, tap dance and Irish dance. I’ve had a privilege to enjoy the teaching of internationally well known guest teachers and I have attended master classes and workshops by many talented teachers like Vladimir Malakhov (Berlin State Ballet), Anton Korsakov (Mariinsky Ballet), Arja Tervo (Finnish National Ballet), Charlotte Fürst (Zena Rommett Floor-Barre), Karin Munters Jameson (Klein Technique) and Danielle Polanco (dancer for Lady Gaga, Jennifer Lopez, Beyoncé Knowles…). Having graduated as a Bachelor of Health Care I was used to the very strict medical research practices. That’s why I was surprised by the lack of research and sometimes scientifically feeble approaches in dance. As we need to give some space for the artistic voice of the dance teacher, still our teaching practices should be based on high quality research. This doesn’t mean that we should or even could have unambiguous charts and figures how to teach dance, but we must be able to see the difference between the fact and fiction. Art and science are not contrary to each other. Rather, this combination offers us endless possibilities to look science through artistic practice or vice versa. My ultimate dream is to be able to create research in art or research as art. Science is not limited only inside the covers of such and such journals of whatever. As artist-researchers we can reach to new definitions and dimensions of science. We can benefit from knowledge coming from the field of anatomy, physiology, psychology, education or sport, but we need more insight from dance per se.